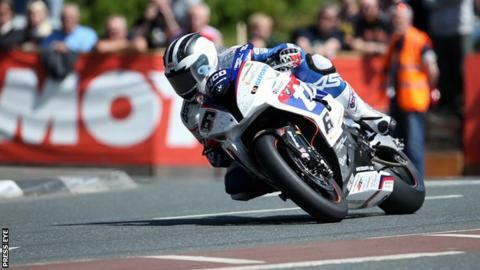 William Dunlop has left the Northern Ireland based Tyco BMW team after they "mutually agreed to pursue different options for 2016". The Ballymoney rider, who spent two seasons with the international road racing outfit, won this year's Irish Road Racing Superbike title. "We've agreed to go our separate ways but the door has not been closed," said team manager Philip Neill. "There's every chance he could return in the future." Dunlop, who raced alongside team-mate Guy Martin, missed out on an international victory this year. "Philip and all the boys at Tyco BMW were very good to me, so first of all I'd like to thank them for making me feel very welcome," said Dunlop. "I really enjoyed my two years with the team." It is understood Dunlop could return to the Chris Dowd road racing team.